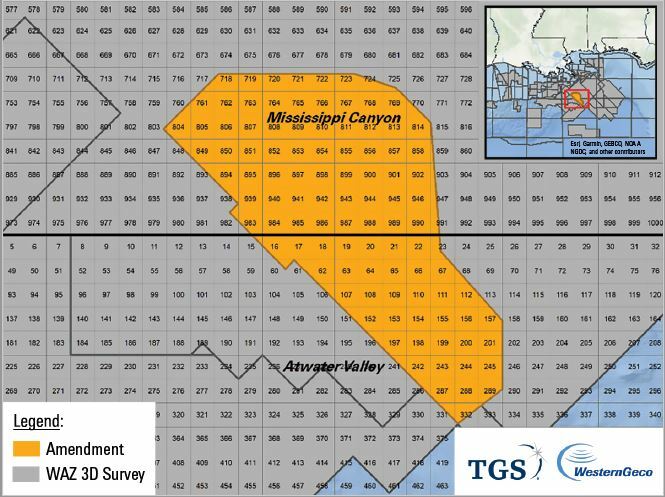 The project, named "Amendment," will comprise acquisition of a 2,350-km2 multiclient seismic survey in the Mississippi Canyon and Atwater Valley protraction areas of the U.S. Gulf of Mexico. This prolific area includes open acreage, existing producing assets and new discoveries. Seismic data will be acquired using Fairfield Geotechnologies 4C nodal acquisition technology with operations expected to commence in Q4 2018. TGS and Schlumberger will apply their full azimuth processing expertise and expect to deliver final data to customers in Q1 2020.